The 3am Teacher: Allow Yourself to be Distracted Sometimes!! Allow Yourself to be Distracted Sometimes!! Yesterday, I woke up early and wrote down my to-do's on my board for the next few days and quickly got to work. By the very end of the day, I was not even able to cross off one thing!! Sometimes the creative process can be life-consuming, but other times, it can be amazing!! What is the problem you ask? 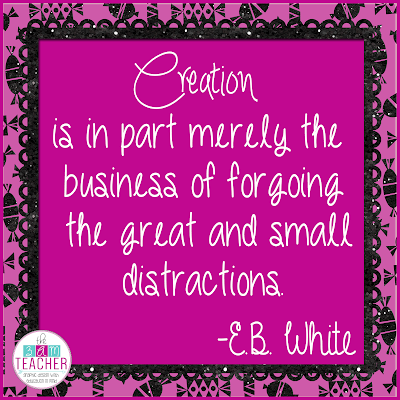 Well, I tend to get so caught up on one thing as a creative thinker that I neglect all other areas and things to do!! When the creative process kicks in, my mind and body take on a life of its own. I can't even control it. As a child, I use to keep a journal close by at night, just when I felt compelled to draw something. Whenever I woke up after dreaming of an idea, I could not go back to sleep until the thought was recorded on paper- as if my mind was fearful of forgetting. Creativity can often be my worst enemy. Running a business from home can also have its drawbacks. My office is an open door and it is very difficult to stay focused when people are constantly popping their head in. I don't mind having family in the office if they are working on something or want to watch, but days where someone needs something as soon as ideas start to flow can be quite challenging. Running a business from home can also take a toll on your mind and body!! This week, I am making a promise to myself to take time out of my day to just breath & enjoy life... the list will always be there. I hope you all do the same!! Not all distractions are bad. 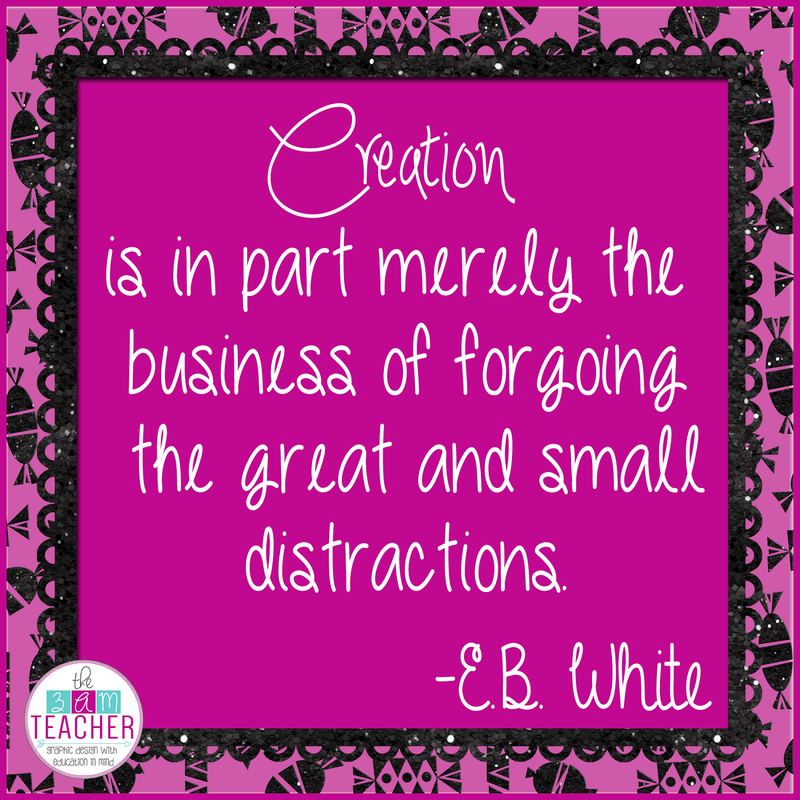 Take time to be distracted this week (get some fresh air, exercise, play a mindless game, read a good book, buy a bunch of clipart-tehehe, etc.). Even splurge and spend a little time doing nothing.. I would love to know what positive distractions help you maintain sanity in this busy life we live. Have a happy Tuesday Everyone! !